We are a multidisciplinary group of prevention specialists with over 70 years of combined expertise in chronic disease prevention, wellness prescription and self-management support. Dr. Stephen Lewis is the founder and medical director of Rehabilitation and Prevention Associates, a medical practice devoted to maximizing functional outcomes through health coaching technology, delivery, and innovation. He leads a prevention and wellness advisory board, the Human Wellnome Project, that identifies evidence-based best practices for population health coaching. Dr. Lewis has been a leader in rehabilitation and wellness support for the past 18 years and serves as an advisor to healthcare and other institutions on geriatric care innovation, patient engagement, and population health outcomes delivery. He has extensive experience leading and developing multidisciplinary care teams focused on primary and secondary prevention of disability and was part of a health coach working group that included presidents of the American College of Sports Medicine, the American Dietetic Association, and the American Heart Association. Dr. Lewis is board certified in Rehabilitation and Sports Medicine and completed his training at the Rehabilitation Institute of Chicago of Northwestern University School of Medicine. He has advanced training in integrative medicine from Harvard University and UCLA and in geriatrics from Mount Sinai School of Medicine. He currently serves as clinical assistant professor at the New Jersey Institute for Successful Aging. 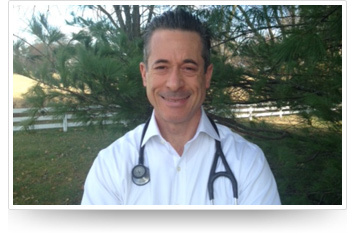 Dr Adi Benito is a Preventive Endocrinologist and the founder of Princeton Integral Endocrinology. Dr Benito specializes in diabetes prevention and symptom reversal. She is board-certified in Endocrinology, Diabetes, and Metabolism and completed her specialty training at the University of Pennsylvania. She completed a two-year fellowship in Integrative Medicine at the Arizona Center for Integrative Medicine with Dr. Andrew Weil and colleagues, where she is guest faculty. She has developed the curriculum for an integrative endocrinology module that has been incorporated into the fellowship. Dr. Benito's main interest is in the prevention of endocrine disorders and diabetes in particular. She is a medical author and lectures regionally and nationally on the topic of diabetes prevention. 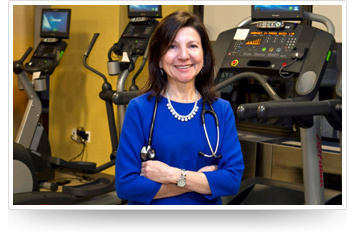 Dr. Vivian Kominos is an Integrative Cardiologist at the Continuum Center for Health and Healing at Beth Israel Medical Center in New York City. Dr. Kominos specializes in heart disease prevention and reversal. She received her medical degree from St. Louis University School of Medicine and completed her Internal Medicine residency training and Cardiology fellowship at Robert Wood Johnson University Hospital in New Jersey. She completed her Integrative Medicine training at the Arizona Center for Integrative Medicine with Dr. Andrew Weil and colleagues. She serves on faculty at the center where she lectures on topics related to preventive cardiology. Dr. Kominos is board certified in Internal Medicine and Cardiovascular Disease. She is an active lecturer at the Arizona Center for Integrative Medicine and a published medical author. 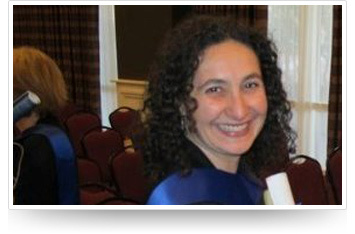 Dr. Aly Cohen is an Integrative Rheumatologist and is board certified .in rheumatology and internal medicine. She is the founder of Integrative Rheumatology Associates, P.C., a private rheumatology practice that combines conventional rheumatology, with integrative medicine options for pain control, disease prevention and management. She has lectured extensively on integrative approaches to prevention and management of arthritis, osteoporosis, and autoimmune disease. 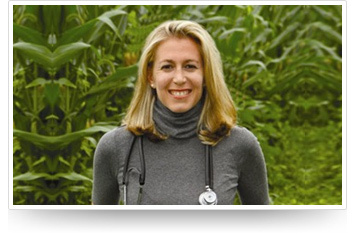 She trained in rheumatology at Montefiore/Albert Einstein University in New York and received the Jones/Lovell Foundation Scholarship, as a fellow in Integrative Medicine, at The Arizona Center for Integrative Medicine with Dr. Andrew Weil and colleagues. Dr. Cohen is currently working with The Environmental Working Group and has developed the first accredited educational program for physicians on the health implications of environmental chemicals. Her educational platform is called The Smart Human (Thesmarthuman.com). Dorothy Mullen is an innovator and a leader in preventive nutrition support. 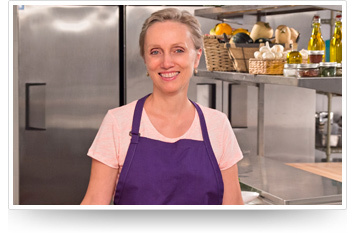 She is the founder of the Suppers Program, a network of nearly free-to-users programs, that trains volunteer facilitators who apply their passion for health and whole food preparation by leading meetings geared toward supporting healthy ways of eating. The meetings are defined by mutual interests in either a particular eating style or a particular medical diagnosis (Ex: pre-diabetes, diabetes or cardiovascular disease) The program has no bias of its own about which eating style is healthiest, and members are taught to do their own experiments to discern which way of eating benefits them the most. Dorothy has a Masters degree in addictions counseling from the College of New Jersey and uses addiction models to help people turn around entrenched eating behaviors that have placed them at risk for chronic health problems.